Eleonora (Lonia) Fryc was born in Lodz, Poland on August 24th 1894. She qualified to be a primary school teacher and worked in various different schools in Poland over 26 years. In June 1942 she was arrested and deported to Ravensbrück concentration camp where she was held prisoner until her liberation in April 1945. In the concentration camp she worked in different workshops. From May 1943 she was recruited by the SS guards and assigned the position of ’Blockältester’. 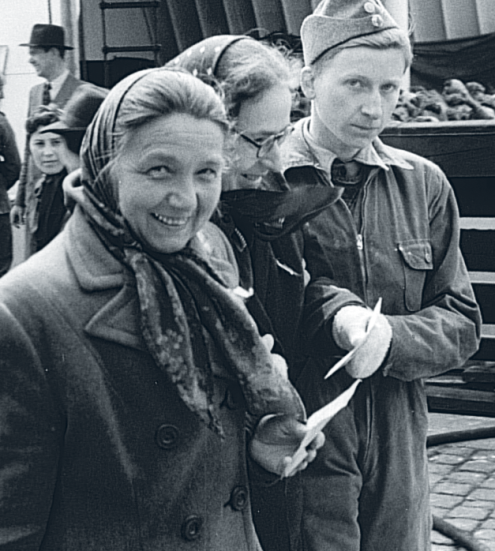 Lonia worked at the camps hospital barracks where her tasks included allocating the sick to the different wards and also maintaining general order. Lonia was thought highly of by fellow prisoners and often risked her own safety in helping others. 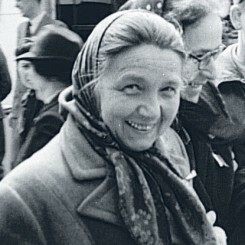 At Ravensbrück she became a close friends with Maria Zurowska-Kurowska, a friendship that would last for a lifetime. 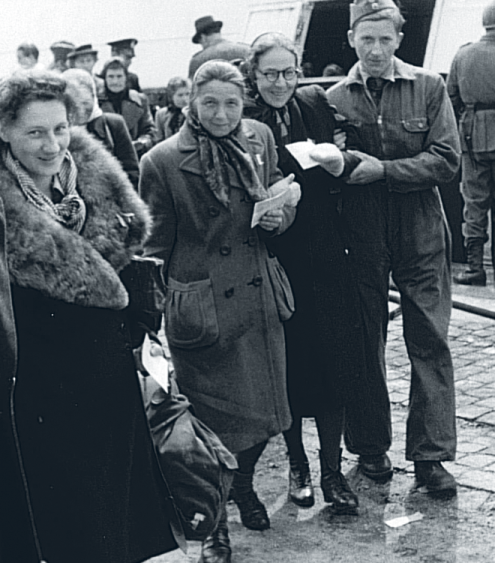 Both Lonia and Maria came to Sweden with the White Buses on April 28 1945. On arrival in Sweden Maria was very weak and was supported by Lonia as she took her first steps onto Swedish land at Malmö harbour. After the war Lonia worked at Nobynäs nursing home in Aneby, Småland county where she stayed until retirement when she moved to the nearby town of Tranås. Lonia never had a family of her own and had no relatives in Sweden; she had a brother in Canada and other relatives in Poland. She had her spiritual home in the Catholic church. In Sweden she had many colleagues and friends in Tranås and in Lund where Maria lived. Maria was with her friend Lonia during her last two weeks of her life at Tranås hospital. Lonia died aged 96 on March 30 1991. Source: Tranåsposten, newspaper April 3 1991 and the state foreign commission archive. If you can help us with further information about Eleonora (Lonia) Fryc we will be very happy to hear from you. Please write an email to our researcher Sebastian.